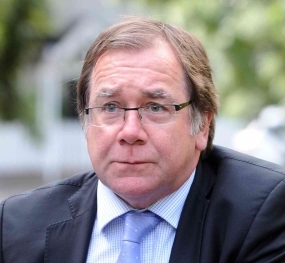 Home › NZ Politics › Is China pulling Murray McCully’s strings? Is China pulling Murray McCully’s strings? “Not only that, it also states the Embassy will be monitoring the events, and is likely to make an official protest if any politicians or ‘other officials’ attend. “It is outrageous to warn MPs off attending events. New Zealand has a proud history of free speech, freedom of religion and an independent foreign policy. It should be Kiwis and Kiwis only who should decide where they go and who they associate with. “It should not be dictated by Murray McCully and his Ministry because they feel it might upset another country. “This is further evidence of a government that his lost its way, its moral compass and the very principles on which New Zealand was founded on,” David Shearer says. If the initial claim is true I think, sanctimony aside, Labour has a point here. No other country should be telling NZ MP’s where they can go or not go in NZ, least of all the corrupt totalitarian thug regime that rules China. Just look at the guy, how did Farage put it, wet wash towel and low grade bank clerk. He is afraid of his own shadow, the thought of the Chinese must give him a good dose of the shits just thinking about it. Perhaps we should have a remembrance day for The Tiananmen Square Massacre. I bet wussel normal was to young for that one.